The highest grossing film of 1995, Toy Story was the first fully computer-animated feature film, created using software developed at Pixar Animation Studios by a handful of brilliant computer scientists, including Eben Ostby ’77, who also has the distinction of being Vassar’s first computer science major. “Someone else would have done it had we not done it, I’m sure,” says Ostby, vice president for software at Pixar. But they did do it. They reinvented the discipline of animation and redefined the animated feature film as a vehicle for sophisticated storytelling. 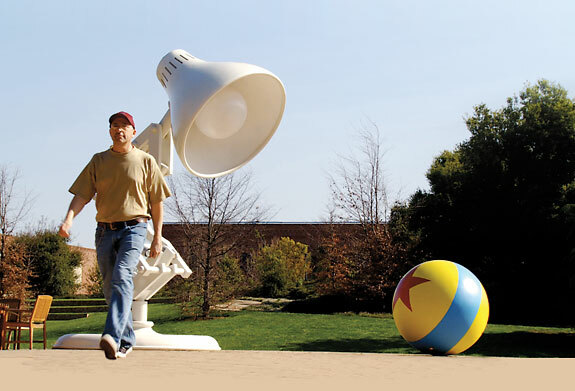 During this time, Ostby and his colleagues William Reeves and Tom Duff were building the software that would be used to create Toy Story, Marionette 3-D Animation Systems. “The way the animation system works is not conceptually complicated,” Otsby says. “You build the geometries—the characters, say—in a modeling system, and then you bring them into our animation system, which allows you to control the motion. So, if you have a character and you’ve built it as a bunch of linked parts, our system allows you to specify the timing of when you move an elbow, say, or a wrist, or fingers. And if you take that basic concept and then go wild with it, you can actually make a film.